For Office Manager Appreciation Week, Managed by Q is highlighting the people who keep teams happy and productive. Brandwatch’s Office Manager Tara Seney joined their team three years ago based on her background in office administration, hospitality, retail, and her passion for event planning. Tara works to keep the whole Brandwatch team happy and productive, as well as to support the company’s Chief Revenue Officer as an Executive Assistant. She even draws on her experience as a bartender and on Friday afternoons, provides a variety of favorites for the office bar cart, complete with limes and a cocktail shaker. We caught up with Tara to talk about how she’s built her career and how she builds trust with her colleagues at Brandwatch. What brought you to Brandwatch and how is it different than other places you've worked? My time here feels like it has gone by so quickly. At my previous job at HSN I was an office manager focused on Investor Relations. It was a small office and I didn’t have the luxury I do now to interact with a lot of people. I started to feel that I wanted more out of my career and to interface with different people. I was nervous, but I’m very happy I took the risk to come to Brandwatch. The nervousness meant it was the right decision. I look forward to coming to work because of my amazing coworkers and the values that Brandwatch has instilled in the company. 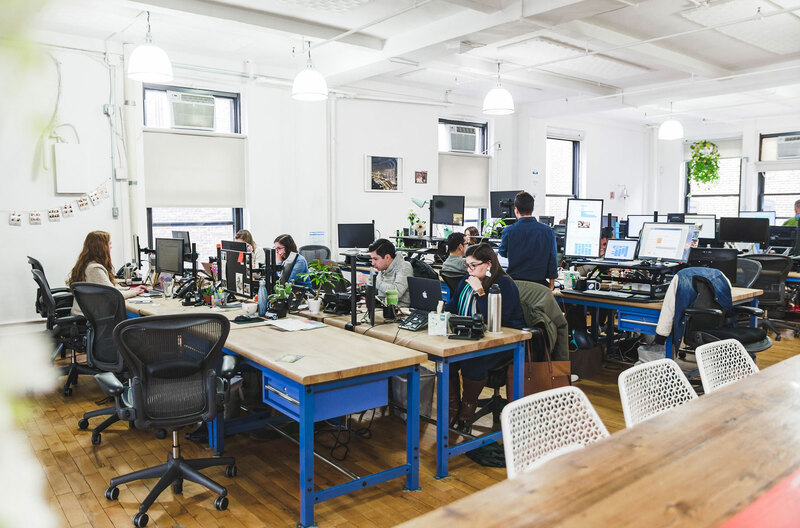 The culture, vibe, buzz, and energy that people bring to work really differentiates this office. 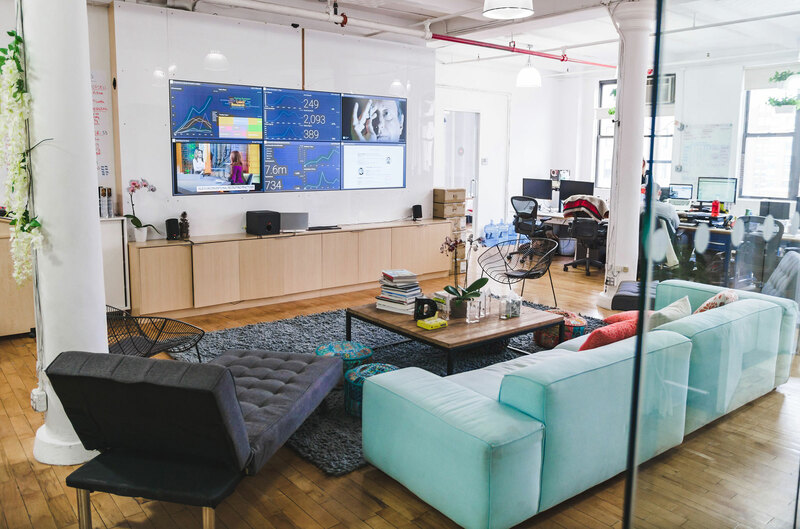 There are about 90 people in our New York office and there are so many different personalities and the culture really enables them to express themselves. How does your work keep your company running smoothly and moving the mission forward? I pride myself on keeping a clean, well-functioning office, and a great work environment. I’m the behind-the-scenes person supporting all the people in the office. My work as an Executive Assistant for our CRO is one of my gratifying jobs here and in it I’ve established a supportive business partnership, ultimately keeping him productive and on-schedule. I think people overlook the little things, but when there are so many little tasks that you provide, they can add up to a bigger picture. For example, a well-stocked kitchen on an extremely hectic day can eliminate the need to leave the office, keeping your productivity high. I think if we didn’t have those items at our disposal, people would realize the amount of time in a day they waste that removes from their work. Usually when I'm away on long holidays, for instance when I was away in Thailand, I check in to make sure everything is good––did the groceries arrive, were they put away, is the heat working properly? Sometimes it’s hard to disconnect, but I want to make sure everyone is taken care of and they feel happy and comfortable when they come to the office. I'm very passionate about planning events we partake in as an office––whether it’s volunteer initiatives or enjoying ourselves. I throw our annual summer parties, holiday parties, and coordinate the monthly happy hours. I love doing something creative together as a team and creating these bonding moments at the same time. It doesn’t feel like work, though planning parties is a lot of work and stress at times. But after spending so many months planning and coordinating, seeing everyone having an amazing time is the the biggest reward. For example, when I was planning our summer party I was dead set on getting a flower wall and when it came together everyone was so delighted. It really plays to my passions in life. Speaking of, how did your work background prepare you to be successful at this job? I’ve been working in hospitality since I was 16 and my hospitable manner has become second nature now. For example, at HSN the women's bathrooms were fully stocked with products that we sold. I thought of doing the same at Brandwatch, but with everyday products like deodorant, hair ties, moisturizer, and makeup wipes. I wanted to spoil yet take care of my ladies as if they were in a Sephora. I’ve had a lot of odd jobs and customer facing jobs, whether in retail, hospitality, or accounts receivable. I love working face-to-face with people and I’m very much a people person. Working in these positions helped me get over my shyness, and shaped me to where I am now. Overall, my bosses past and present have showed me how important it is to create relationships with people. Even having tough bosses has been helpful because it’s helped shape the kind of work ethic that I have. From your experience, if you were to give a piece of advice to other office managers, especially those just starting out, what would it be? Make sure you take care of yourself. There are days I look at myself and say, “You’re taking care of everyone under the sun in the office, but you can’t forget about yourself.” If you need a moment to yourself, take it. Walk out, go to the park, get a coffee, and don’t let little things consume you. It’s important to be able to bounce back. It’s not the end of the world if something goes wrong, but figure out a way to fix it. There’s always a solution and you can learn from the mistakes and just move on from it. At the end of the day, always make sure you love what you do.